Boston-based singer/songwriter, Jocelyn Arndt, has teamed up with Popdust to exclusively premiere her new lyric video for "Lullaby" today, here http://bit.ly/17I2Amo. "Lullaby" is the third track off Jocelyn's new EP, Strangers In Fairyland, which was released on October 27th. Jocelyn previously released her first single "Cinderella" with Joonbug and her second single "Nevermind" with Fanlala. Currently based in Boston, Jocelyn crafts songs that blend raw energy and striking vocals with breathtaking, personal emotion. Her new EP, mastered by Brad Blackwood (Maroon 5, Saving Abel, Eve 6) brings that energy to a new level. For more information, please visit www.JocelynArndt.com. Regarding the video, Jocelyn stated, "it was a truly awesome experience to see the emotions in my lyrics for Lullaby actually come to life in this video. The whole feel is incredibly stark, empty, and resigned which is great considering that we filmed our parts on a green screen with the computer art work added later. I think the emotion really comes through!" Jocelyn and her brother/co-writer Chris began to reach past their living room practice space when they were barely teens, playing anywhere they could find permission and a power outlet. 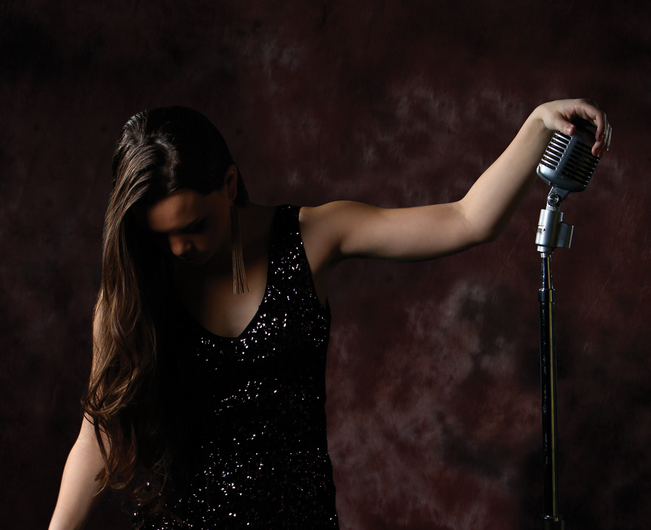 While Jocelyn's distinctive vocal style took shape, Chris's guitar skills flourished, both drawing inspiration from local classic rock stations and their parents' bottomless record collection. The duo soon became known for their stylized songs and powerful performances borrowing equally from classic rock and contemporary indie energy. The music is stunning, mature, sensual, and always impassioned. At the same time, the siblings recognized another common strength. Both excelled in academics. When Jocelyn completed high school, graduating as Salutatorian, she was accepted at Harvard University. Chris, not to be outdone, finished school a year later as Valedictorian. He was offered enrollment at Yale, but with the duos music gaining traction and a development deal on the line he opted to join Jocelyn at Harvard. This critical decision allowed Jocelyn and Chris to accelerate their writing and complete their debut EP while at the same time providing a common home base to perform and tour from. Strangers In Fairyland gave Jocelyn Arndt the opportunity to work with Grammy award-winner Brad Blackwood (Maroon 5, Saving Abel, Eve 6) who mastered the EP. Throughout her musical career, Jocelyn has played the Big Apple Indie Music Series, Black Bear Music Festival, Move Music Fest, and the Utica Music & Arts Festival as well as appearing live on Fox Television's Good Day New York. In addition she's shared the stage with artists such as Magic Man, Ryan Montbleau, Shawn Rowe, and Shinobi Ninja, performing throughout New York, Massachusetts, Virginia, Michigan, Tennessee, and Georgia. Today, Jocelyn 19 and her brother Chris 18, continue to blend alt-rock texture with strong hooks to create broad-genre appeal. The result is worlds beyond ordinary. (Phoenix, Ariz.) The Irish don’t miss a chance to celebrate and the 100-year anniversary of the year that the book “Dubliners” was published is as good an occasion as any. The famous book which is considered one of the finest examples of the short story genre, was written by renowned Irish author James Joyce and came out in print in 2014. The McClelland Irish Library will mark the anniversary with three months of events including lectures, book discussions and several films. Events run from Sept. 24 - Nov. 8. James Joyce wrote “Dubliners” before 1905. The book is a collection of 15 short stories that was groundbreaking because it pushed the genre while featuring real people and real situations — something that had never been done before. Many of the characters in the book bore a close resemblance to family members, friends and enemies of the author. Joyce spent almost a decade trying to have the book published in part because he refused to cut out controversial sections. After countless rejections by Irish printers who burned and destroyed pages, it was finally published in London. The lecture “James Joyce’s Dubliners: Still Engaging Readers and Writers 100 Years After Publication” takes place from 7-8 p.m. Sept. 24 and will be presented by Irish-born poet Adrienne Leavy. Leavy is widely published in Irish literary journals and currently working on her first poetry collection. The lecture is $5 donation for nonmembers, free for members. A free “Dubliner” book discussion takes place from 10:30 a.m.-12:30 p.m. Oct. 11 and features the first 14 books and another discussion takes place from 10:30 a.m. -12:30 p.m. Nov. 8 and features both “The Dead,” the last short story in the book, and the film “The Dead,” directed by John Huston and starring his daughter, Angelica Huston. An independent film “Dubliners in Arizona” starring local actors and settings airs 7-9 p.m. Oct. 22. Cost: $5-$7.50. Registration available online at azirishlibrary.org. Yosemite National Park, CA - July 8, 2014 - Indie rockers From Indian Lakes will be releasing their entirely self-produced new album, 'Absent Sounds', on October 7th, 2014 via Triple Crown Records. The band, who has previously been described as "what a modern day rock & roll band could sound like if they were giving their own spin off of an Elliot Smith album," (Under The Gun Review) will be heading out on the road this summer with The Dear Hunter and RX Bandits. 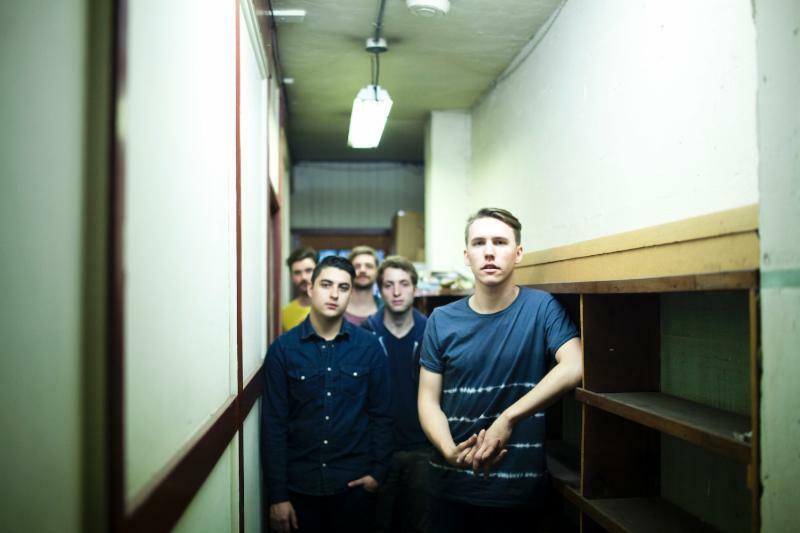 For more information, please visit: www.FromIndianLakes.com. Started in 2007 by singer/songwriter and multi-instrumentalist Joey Vannucchi, From Indian Lakes has since expanded to include Justin Stanphill (guitar and vocals), Chris Kellogg (bass and vocals), Tohm Ifergan (drums), and Enrique Gutierrez (keys and vocals). Their debut album, 'The Man With Wooden Legs' was released in 2009 and was quickly followed up by a fan favorite, 'Acoustic EP', which Joey recorded and mixed in a home studio. After a few years of writing, touring, and building their fan base, they released 'Able Bodies' in November 2013. The album took the music scene by storm and remains in high acclaim by countless sites, magazines, blogs, and of course, their fans. Absent Sounds' will be the band's first album since signing to Triple Crown Records in 2013. From Indian Lakes explores what it means to be alive throughout the album; "Sleeping Limbs," is an echoing and ethereal song that asks, "What's the point to this?" Meanwhile "Am I Alive," uses sweet and lilting melodies to lift the mood. On the release of 'Absent Sounds,' Vannucci tells us, "To me this album feels like finally sleeping at night, or the first sigh of relief after good news. With a label behind the band, it is a record that wasn't constrained by time, or other things that usually get in the way of ones vision. I always felt like no matter what I did, being in a studio had to always be "Here's a guitar and a drumset kid, you've got x amount of time", but this time it was about making the songs sound exactly like they did in my head, no matter how long it took. Having no regrets about an album is an incredible feeling." 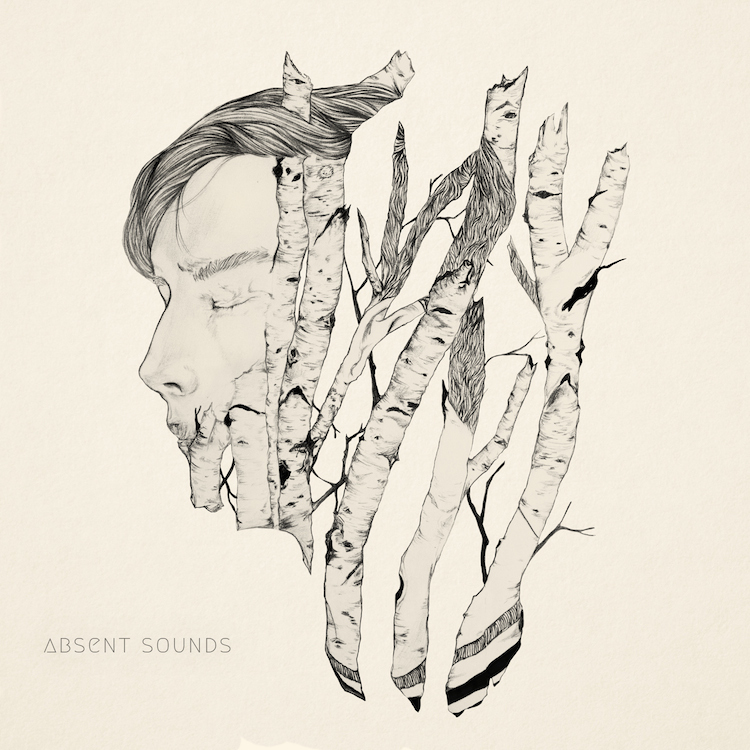 From Indian Lakes will release their new album, 'Absent Sounds', on October 7th, 2014. 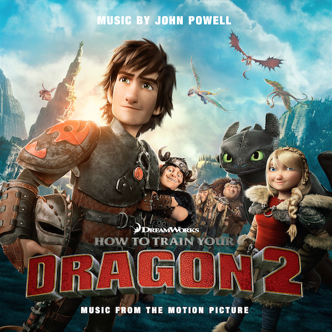 (Beverly Hills, California) June 3, 2014 - Pitchfork has premiered the full stream of the highly anticipated soundtrack for DreamWorks Animation's upcoming "How To Train Your Dragon 2," featuring collaborations between composer John Powell and Jónsi (frontman of the Icelandic atmospheric rock band, Sigur Rós), including new Jónsi single, "Where No One Goes". Stream the full soundtrack here: http://bit.ly/HTTYD2Pitchfork. "How To Train Your Dragon 2: Music From The Motion Picture" will be available on iTunes via Relativity Music Group on June 10th, 2014. Pre-orders are now available on Amazon here: http://amzn.to/1gsbbgp. A special ZinePak edition of the soundtrack, which in addition to the 19-track soundtrack CD, includes posters, a dragon field guide, games and a collectible dragon insignia patch inside a 64-page magazine, is available for pre-order exclusively with Walmart here: http://bit.ly/U7RiRY. Critically acclaimed composer John Powell has contributed original compositions to over 50 film scores including "Happy Feet", "Shrek," "PS. I Love You", "X-Men: The Last Stand", "Rio", "Ice Age: The Meltdown", "The Bourne Identity" series, "Mr. & Mrs. Smith," "Robots", and numerous others. Powell's outstanding work on 2010's "How To Train Your Dragon" landed him two International Film Music Critics Association Awards (Score of The Year, Best Score for an Animated Feature) andearned him his first Academy Award®nomination at the 83rd Academy Awards. Jónsi, internationally known for being the guitarist and vocalist for Icelandic post-rock band, Sigur Rós, isn't new to the scoring world. In addition to composing the score for "We Bought A Zoo," his original song, "Sticks and Stones" for 2010's How To Train Your Dragon, skyrocketed into a worldwide hit. His new release, "Where No One Goes" off the upcoming soundtrack has already garnered praise from the likes of Pitchfork, Stereogum, Consequence of Sound, Death + Taxes, KEXP, NME, Rolling Stone, Filter Magazine and more. Relativity Music Group recently released soundtracks for DreamWorks Animation's Mr. Peabody & Sherman, The Croods, Safe Haven, Millennium Films' Olympus Has Fallen and The Iceman as well as Focus Features' Hyde Park on Hudson and Promised Land. Relativity Music Group was formed in 2009 under the leadership of Happy Walters (Co-COO of Relativity Media) and Jason Markey (EVP Music & Soundtracks). Since then, the music division has provided music supervision, music publishing catalogues and soundtrack services for films produced and/or financed by Relativity Media and other major Hollywood studios, including such titlesas: Don Jon, HBO's Clear History, Turbo, The Croods, Safe Haven, Hyde Park on Hudson, Promised Land, Chasing Mavericks, ParaNorman, American Reunion, Mirror Mirror, Act of Valor, Haywire, Bridesmaids, Beginners, Dear John, Repo Men, Couples Retreat, A Single Man, Love Happens, Biutiful, The Adjustment Bureau, Zombieland, Brothers, 30 Rock, A Perfect Getaway, Limitless, The Fighter and many others. Relativity Music Group plans to release 15-20 soundtracks per year. Its current domestic licensing and distribution agreement is with Capitol Music Group/Caroline. ZinePak (pronounced ZEEN-pack) is an entertainment company dedicated to elevating fan experiences with collectible memorabilia and merchandise. In the past three years, fans have purchased more than 2 million ZinePaks at Walmart for superstar artists and brands including Katy Perry, KIDZ BOP, Lionsgate, Taylor Swift, and dozens more. This is really neat. It's sort of a "Jukebox Time Machine" of music. Each of the years below connects to the best 20 hits of that year via a Jukebox. Click on a year, wait a few seconds, and a Jukebox will appear showing you 20 hits from that year to select from. You can play all 20 hits, or.. click on just those that you like. Enjoy the ride! 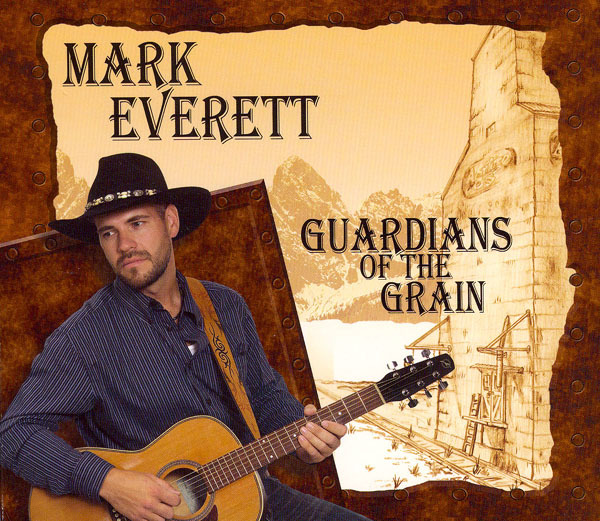 “Guardians of the Grain” by Mark Everett hit the market this month with 12 of the most delicious new tracks you could ever hear. Everett’s beautifully deep resonating voice brings life to articulately crafted lyrics telling stories in these ballads. Those with a love for history and bygone years will enjoy his nostalgic lines. Danceable and catchy, you will find yourself singing along in no time. He engages a theme of longing for the kinder gentler world of the past and offering hope for the future. Born in Edmonton, Alberta, Everett was raised all over Canada, with his guitar, a Christmas gift from his father in 1983, his constant companion. “I have always felt that old guitar has been there as my one truest friend...and music the truest form of my personal expression. I live for that!” he says. Beginning with melodic chords, “Guardians of the Grain” – (by Clyde Jorgensen, J. Watts, and Mark Everett) tells the story of grain silos on farms across Canada guarding the harvest in a time when farmers stood proud. The lyrics proclaim “Now the world has changed and those giants don’t rule.” This number will really grow on you more each time you hear it. “Don’t Take it So Hard” – (by C.D. Lenard) has a crisp full life of it’s own. Try not to tap your foot to this song and you will not succeed. Your girl leaves “It’s not the end of the world” lyrics can be taken to heart in a number of ways; the lesson we all learn when a heart is broke. “The Drive” – (by Mark Everett) is a slower paced heartfelt sorrowful ballad that came from personal experience of heartache and loss of his Dad. “Time will heal the pain I feel, they say. But I feel it will never be the same…” echo the same sense of loss that “Guardians of the Grain” and “Where the Mustangs Run Free” do. Each lyric speaks of a time when the promised land was ours and the recent changes in life aren’t always for the best. Everett grew up drawing influence from many different artists like Hank Thompson, George Jones and later Radney Foster and Randy Travis. “As I get older, I realize that only time brings life experiences that make for real personal artistic influence. For me, blessings and trials such as becoming a father, losing loved ones, and just plain old laughs and struggles down life’s sometimes hard and dusty road are ultimately the greatest sources of my music”, Everett commented. “Where the Mustangs Run Free”. (by R. Lane, Clyde Jorgensen, J. Watts, and C. Dunnagan) is, in my opinion, a musical masterpiece. With the longing for a past life, “Where the Mustangs Run Free” begins with crisp clear melodic finger picking guitar and strong bass that continues like a playful mustang running through at a good pace. A depth and dimension to the orchestration of this piece brings to mind the majestic themes of western movies and story telling that makes it an experience to be enjoyed time and again. You will see those mustangs and feel their hoof beats. And you too will long for a time and place where the mustangs run free. “When the Diesel Winds Down” – (by Mark Everett and Clyde Jorgensen) displays the collaborative power of this duo taking advantage of Everett’s voice and Jorgensen’s knack with lyrics. “Daddy drove rigs back as far as ’69…” Flashing back on memories again and how “When I feel sad I think about my dear old Dad”. “Welcome Home to Alberta” – (by Mark Everett) is a love song to the “true north strong and free, “It’s a place of wealth and beauty. It’s a place for you and me.” Everett’s love for Alberta rings true. “The beauty of this land is something everyone should see.” Alberta’s Chamber should adopt this number real fast! “Truckin” – (by Clyde Jorgensen and C.D. Lenard) picks up the pace for an upbeat great dancing number. “Catherine’s Song (The Way You Love Me)” – (by Clyde Jorgensen) is a simple beautiful love song that showcases Jorgensen’s skill with words and feelings. He sings the harmony as well. He has one lucky lady. Although he would say it’s the other way around, that he’s the lucky one. “Would You Like to Dance” – (by Clyde Jorgensen and C.D. Lenard, B. Bailey) is upbeat and lively almost a Cajun beat. It makes a great dancing tune. “Would you like to dance or are you still mad at your Ex?” Can’t you just imagine hearing that at the bar? “Better Watch Out” – (by Clyde Jorgensen) Jorgensen makes this one a true duet with Everett. And the juxtaposition of Jorgensen’s rough gravel voice against Everett’s silky smooth voice is an interestingly successful contrast. “Once Again Your Love Surrounds Me” – (by Clyde Jorgensen) proves Jorgensen a true romantic with an ability to put words to music in a classic style. Yet each is fresh and new. Everett delivers the message with the feeling it deserves. “The success of this CD was made possible by Clyde and Billy William’s awesome talent and patience. These two veterans of the business made me laugh every time we were in the studio. So even though we put our all into it, it never felt like work,” says Everett. Also performing on this project were Billy Williams (guitar and piano), Mike Smith (steel guitar), Jerica Nicolaides (fiddle), Mike Brouchette (harmonica), Lycia Ware, Steve Parrish, & Clyde Jorgensen (background vocals). You can learn more about Mark Everett at www.markeverettmusic.com “Guardians of the Grain” 2009 Daffy Dane Music, 10476 N Balboa Dr, Sun City, AZ 85351. Recorded and mastered at Billy Williams Studio in cooperation with Trails End Productions .